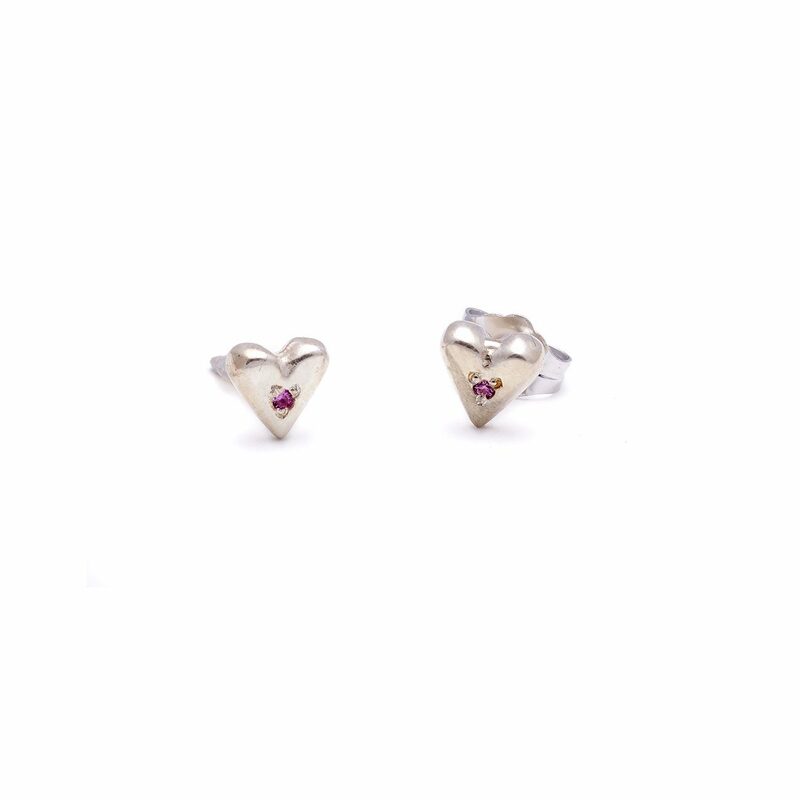 Sweet, classic sterling silver puff heart stud earrings. Each stud is set with a 1mm pink sapphire. Handcrafted by Elisa.